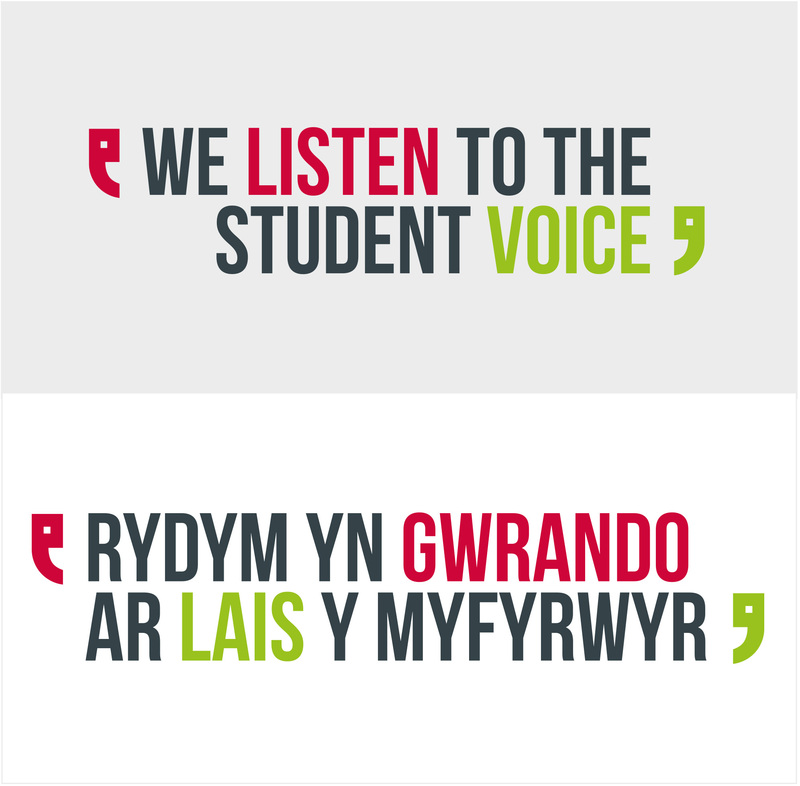 Give students a voice to enhance their student experience’ was at the heart of the communication campaign created by Creative Loop for Cardiff University. 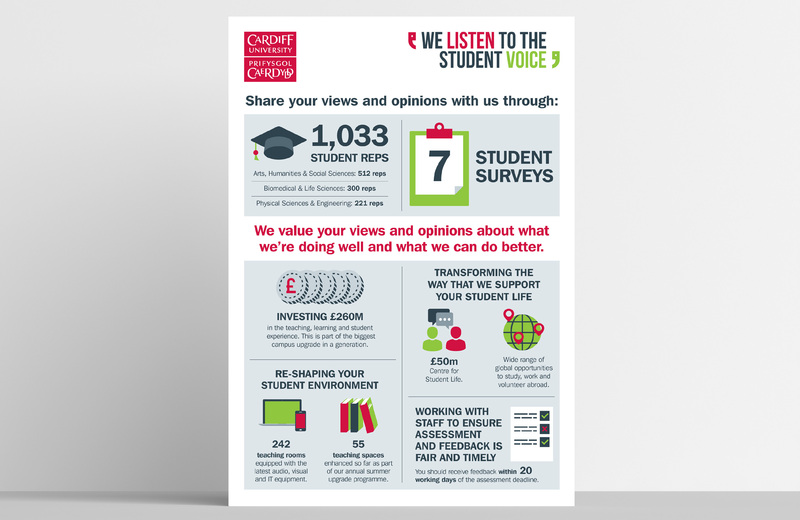 The campaign was aimed at engaging students to enhance their student experience by sharing their views and opinions about what Cardiff University are doing well and where they could improve. 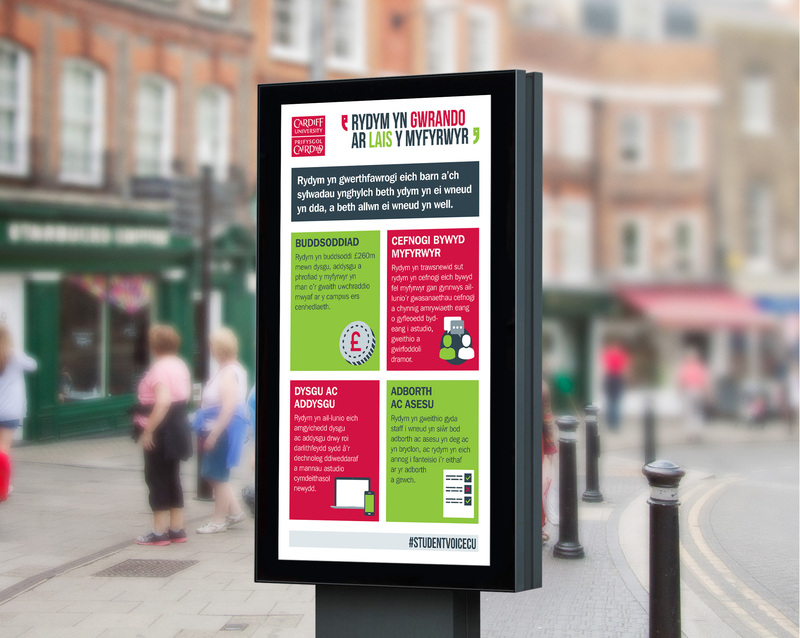 The campaign required an overarching identity and branding for all campaign materials such as posters, infographics, digital and paper based advertising, social media graphics and more. 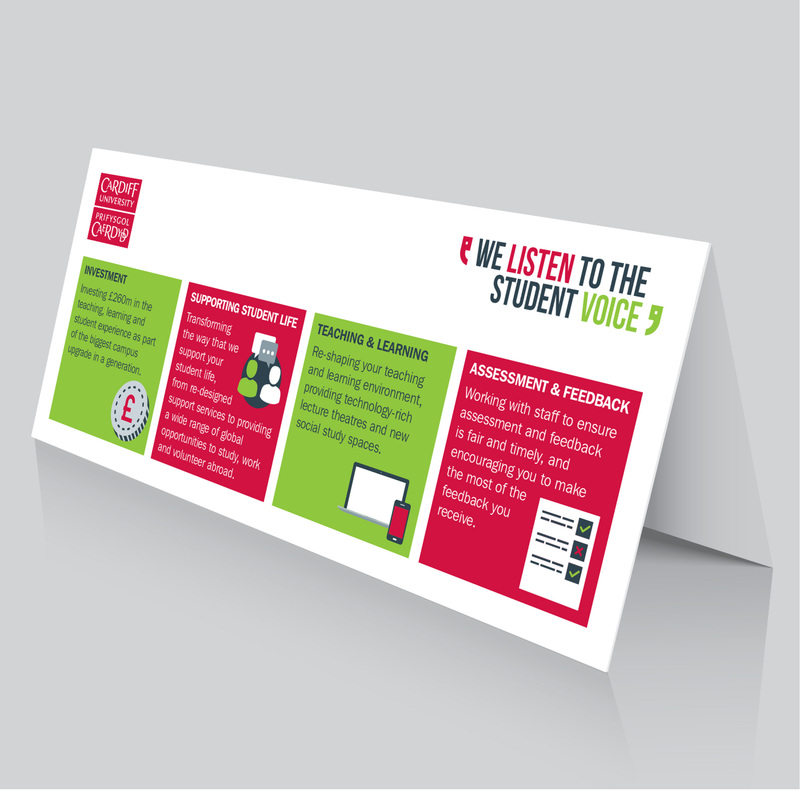 Working regularly with Cardiff University we are familiar with their brand and although this project had to adhere to their guidelines the identity itself could be more exploritory. The design had to be able to adapt to both digital and printed materials. 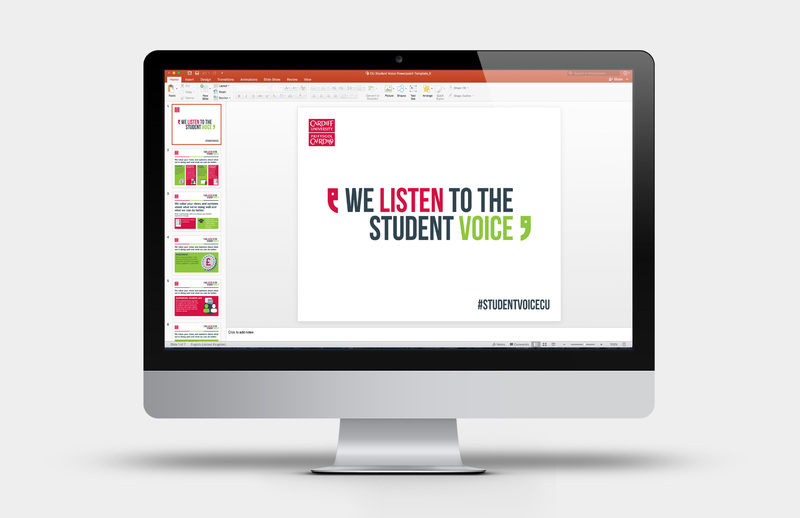 We produced visuals which were discussed by a working group before feedback was given and the final identity was agreed. We took a clear, fresh typographical design that is instantly recognisable by the bold typeface, bright colours taken from the corporate palette and the quirky speech marks that add visual appeal. 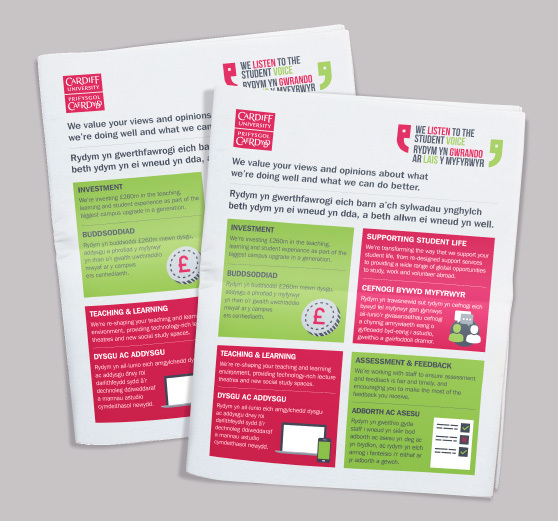 A range of icons were created to specifically emphasise and enhance the main four key messages. 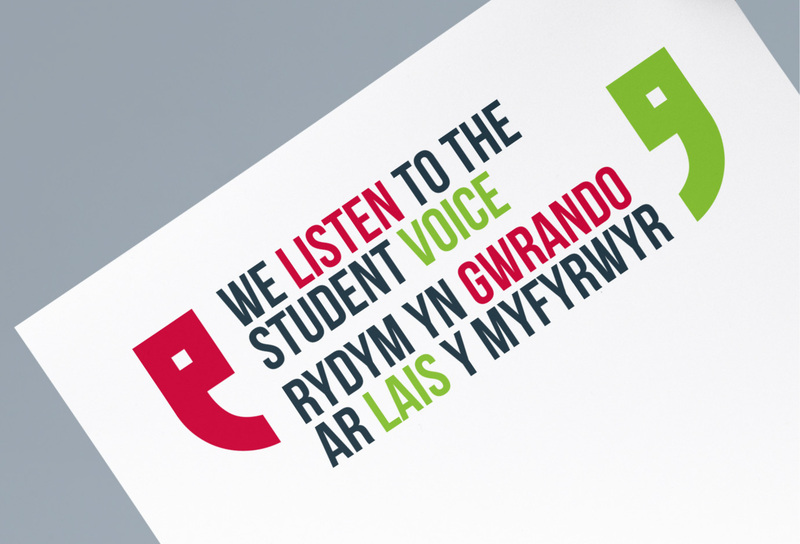 The punchy design was then developed and delivered successfully across many platforms easily communicating the messages to Cardiff University students, complementing the identity and promoting the campaign.